The Centers for Medicare & Medicaid Services (CMS) stipulates separate requirements for diagnostic test orders, depending on where the testing occurs. 1. The "Ordering of Diagnostic Tests" rule (Oct. 31, 1997 Federal Register) applies to testing facilities, including individual physicians, physician groups, laboratories, and independent diagnostic testing facilities (IDTFs) that furnish diagnostic tests to Medicare patients. As clarified in CMS Transmittal 1725, the rule requires that a treating physician or practitioner order all diagnostic tests (X-ray tests, all diagnostic laboratory tests, and other diagnostic tests furnished to a beneficiary) for a patient who is not a hospital inpatient or outpatient. The Social Security Act (§1861(r)) defines a treating physician as a "physician who furnishes a consultation or treats a patient for a specific medical problem, and who uses the results of a diagnostic test in the management of the patient's specific medical problem." A "treating practitioner" is similarly defined as "a nurse practitioner, clinical nurse specialist, or physician assistant, pursuant to state law, who furnishes a consultation or treats a patient for a specific medical problem, and who uses the results of a diagnostic test in the management of the patient's specific medical problem." The Medicare Benefit Policy Manual, chapter 15, §80.6 specifies that the order for testing may be a written communication (either hand delivered or faxed) or an e-mail to the testing facility by the treating provider or the provider's staff. Telephone orders also are permitted, but both the treating provider and the testing site must document telephone orders in their copy of the patient's medical record. Simply stated: If the patient is neither an inpatient nor outpatient in a hospital, a qualified provider who is treating the patient must request diagnostic radiology services, and that request must be documented in the medical record. All orders should contain the patient's name, the test requested, clinical indications for the test (see Medicare Claims Processing Manual, chapter 23, §10.1.2), and the name and signature of the treating physician (see Medicare Program Integrity Manual, chapter 3, §3.2.4). 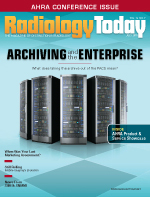 A radiologist working in a testing facility may determine the protocol for a given diagnostic procedure ordered (eg, number of views obtained), and may perform computer-aided detection with mammography without a written order. The radiologist also may modify an order that clearly is in error (eg, X-ray of the wrong body part ordered), or cancel an order because the patient's physical condition precludes performance of the test; however, he or she may not change the diagnostic test ordered without a new documented order from the requesting physician. • the radiologist at the testing facility documents in his/her report why additional testing was done. Standing orders (eg, "If patient has condition X, perform test Y") are not permitted; however, CMS allows conditional orders if they are limited to a specific patient. 2. The Hospital Conditions of Participation: Radiology Service Rules (42 CFR 482.26) covers hospital inpatients and outpatients. Regarding orders for diagnostic testing, the conditions require that, "radiologic services must be provided only on the order of practitioners with clinical privileges or, consistent with state law, of other practitioners authorized by the medical staff and the governing body to order the services." Under this requirement, a radiologist may order diagnostic testing, as long as the hospital's governing body authorizes radiologists to order those services. In other words, the patient record should include orders for all diagnostic services provided in the hospital, the orders should have been given by a provider authorized to do so by state law and facility requirements, and the order should match the service provided. As with nonhospital imaging, orders must include the patient's name, the test requested, clinical indications for the test (eg, medical necessity), and the name and signature of the treating physician. If an order is changed from what was originally requested, the medical necessity of the change also should be documented to support the revised order. Note that the above order requirements apply specifically only to CMS: Other payers may stipulate their own rules, which do not always match CMS requirements. Check your payer contracts for specifics, or otherwise seek clarification, in writing, to be sure your orders for diagnostic testing (regardless of the setting in which it occurs) meet coverage requirements.